This belt wrap kit (BWK) is designed to Reduce Slip and maximize boost pressure by creating more contact surface with the supercharger pulley. Under heavy acceleration the M112K engines supercharger is known to slip on the belt which creates less boost. 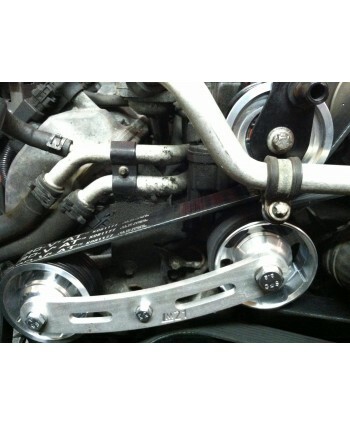 This kit allows the engine to maintain proper boost pressure.This Belt wrap kit will help to smooth out your power curve and can net a 1-2 psi inc..